Kids' Book Review: KBR Short Story: That's Not Music! 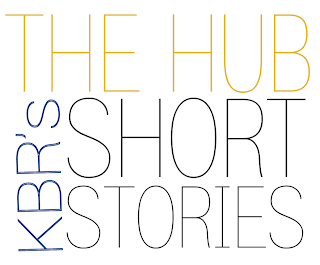 KBR Short Story: That's Not Music! Jazz loved to play the beat. She played the beat with chopsticks, on cans of beans and lentils. ‘That’s not music!’ said Mum, who was trying to cook. She played the beat on saucepans, with a fork and a silver spoon. ‘That’s not music!’ said Jazz’s brother, who was trying to read.Grandpa just winked and turned his hearing aids down. On the bus, Jazz played the beat with her hands and knees. ‘Cool rhythm,’ said Percy, who played the bass. What Jazz wanted the most was her own drum-set. Mum wasn’t sure because Jazz had just given up on karate and before that, it was hip-hop dancing and before that, it was ribbon-twirling. Jazz crossed her fingers and hoped Mum would say maybe, which usually meant yes. ‘I’ll think about it,’ said Mum, which usually meant no. Jazz asked the music teacher, Mr B, if she could join the school band. On the school Presentation Day, Jazz sat in the audience and watched the band set up. Then she got a tap on the shoulder: the drummer had gone home early and they needed Jazz to play. Jazz held the drumsticks high and waited for Mr B’s signal. She created thunder for the school play, kept the rhythm for the school song and did all drum rolls for the awards. Jazz loved drum rolls the best. ‘And the student of the year is...’ drum roll. ‘The best sportsperson award goes to...’ drum roll. ‘The leadership award goes to…’ drum roll. ‘Um, just a minute everyone, we have a late award. The most improved musician is….’ drum roll…. Perhaps the winner was away, thought Jazz, this drum roll was going on forever and her arms were getting tired. Jazz spotted her mum smiling at her in the audience. Suddenly Jazz felt another tap on her shoulder. It was Percy, who played the bass. ‘Percy, can’t you see I’m in the middle of a drum roll?’ she whispered. ‘But Jazz, you’ve won!’ he said. ‘So can I get a drum-set? For my birthday?’ Jazz asked hopefully. Nat Petrohelos finds herself tapping the beat when she's dreaming up stories for children to enjoy. She lives in Newcastle and has a pet whale, a magic moongarden and an over-active imagination. Read more on her website. What a fantastic story! Should be read to all children to encourage them to keep following their passions. I loved reading it.